When I was little, asparagus was another one of those vegetables I just wouldn't touch. My childish brain thought they'd be spiky since they looked like little spears - surely those weird shaped tops would be sharp and rough and not nice at all. Why would you eat something like that?! But it didn't count if it was my Mum's asparagus dip ... that's different... it was just green dip... not asparagus. It tasted good so you just pretend that it's not made up of those weird spikey spear things... you just eat. It's not a vegetable... it's a dip - dips can't be vegetables, silly! As I got older, I began experimenting with different foods and when I got a taste for vegetables I wanted to eat ALL THE THINGS - and my weird spear like nemesis of years gone by was one of those things. In fact, asparagus is now one of my favourite vegetables - but I know how to cook it right. I've eaten asparagus in restaurants before and hated it despite asparagus being one of my favourite vegetables - but that's just because they served up a mushy overcooked mess. 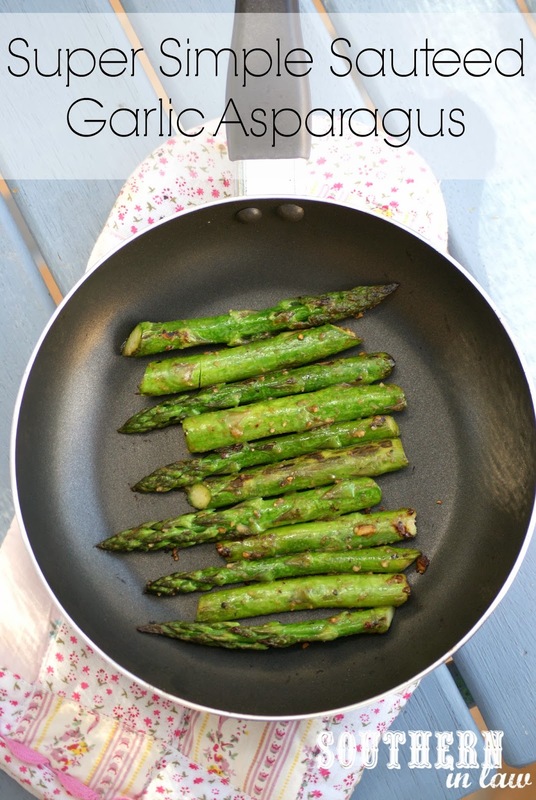 This super simple sauteed asparagus, however, is almost impossible to mess up and so incredibly delicious. 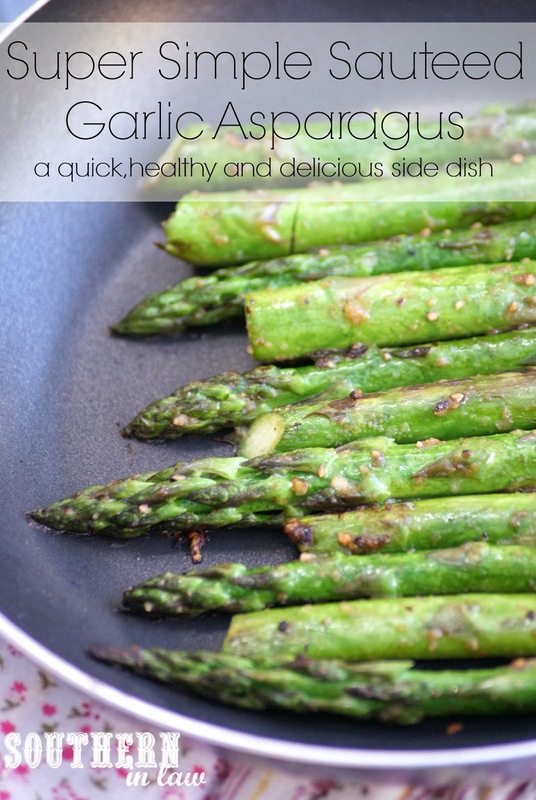 It's the perfect side dish - or, if you're an asparagus lover like me - it's a good snack too ;P (It's not rare to see yours truly munching on raw asparagus with dips or sitting down with a bowl of sauteed asparagus). If you've never been tempted to try asparagus before - or maybe have only had bad experiences, this is the one recipe you may want to try... I'm sure it'll turn you into an asparagus lover in no time at all too! Heat a frying pan over a medium high heat. Add your asparagus into your pan with your garlic, seasoning with salt and pepper and adding a dash of water. Use the pan to gently shake and turn the asparagus. Add in your butter and continue turning the asparagus until your garlic starts to brown and your asparagus begins to soften (it will go a lovely bright green colour and you'll be able to feel that it's softened if you pick up a piece with a fork). But tell me, what food totally freaked you out as a kid? For me it was eggs, mushrooms (because of the squeak) and weird vegetables like choko/chayote (which my grandpa loved and they made the kitchen smell awful), artichokes and asparagus. I also didn't like weird coloured foods - like if you put food colouring in food (we once did an experiment at school where we dyed milk different colours and it made me feel awful even thinking about drinking it). I also hated cinnamon which I now love!